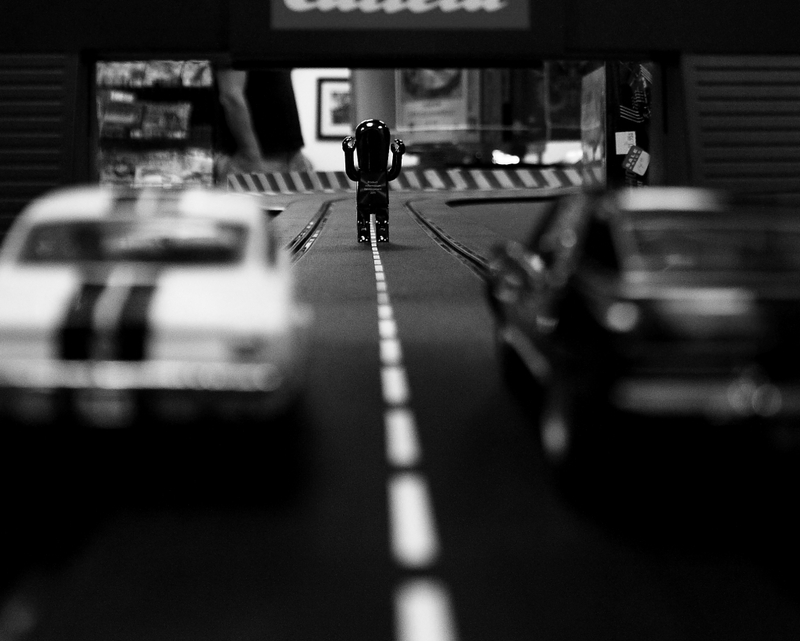 He’s no Natalie Wood, but Gubbins had a blast sending these slot car racers off the rails. This entry was posted in Details, Fun stuff, Gubbins. Bookmark the permalink.